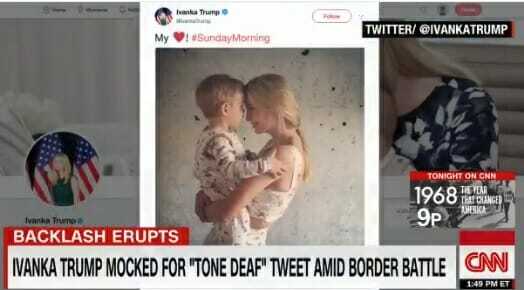 Last Wednesday liberal hack Samantha Bee attacked First Daughter Ivanka Trump after the president’s daughter tweeted out a photo of herself with her little boy. But not everyone is a fan of this vile comedienne. The Western Conservative Summit has denied press credentials to Samantha Bee’s “Full Frontal” show at the annual conference. The annual Western Conservative Summit has denied a request for press credentials submitted by the TBS Network show “Full Frontal with Samantha Bee” for the event next week, which is the largest conservative gathering held outside of Washington, D.C., according to the Denver Post. Organizers cited remarks made by Ms. Bee about Ivanka Trump earlier this week as the primary driver for their decision, along with a previous experience with the prime-time cable show. “In 2016, Samantha Bee’s production team came to the Western Conservative Summit. They did not provide fair coverage,” said Jeff Hunt, director of the Centennial Institute at Colorado Christian University, which is staging the event. “Instead, they bullied and harassed our attendees. Conservatives are tired of being mistreated by the liberal media. Shows like ‘Full Frontal with Samantha Bee‘ are not intent on reporting but bullying and shaming conservatives. Her request for media credentials to the Western Conservative Summit has been denied,” Mr. Hunt said in a statement.